Stay in Today and Keep Them Away from your Face! Your perspective will be much, much different very soon! I know that you want to Quit Smoking because why are you here? The first hurdle is getting started! Yes, you do need to be prepared. Do your reading, practice delay, identify triggers follow the exercises at My Quit Plan. READ READ READ! But there's another obstacle that can keep you from launching your Quit. You can actually overprepare! You can spend Weeks, even Months preparing - all the while smoking away - maybe, even more because thinking about quitting is a trigger! That's because your Addictive Mind is YOU! It knows you like nobody else and it knows what it takes to get you to do what it wants - just one more FIX! Newsflash! This is not Rocket Science! Contrary to popular belief, you don't have to be 100% ready, you just have to get started! So what is necessary? Only one thing! Keep them away from your face! I guarantee you that no Sickerette will jump into your mouth and light itself! N.O.P.E. What is possible? TODAY is possible! You can go an hour at a time, a day at a time, and stack those Days one by one by one! S.I.N.A.O. 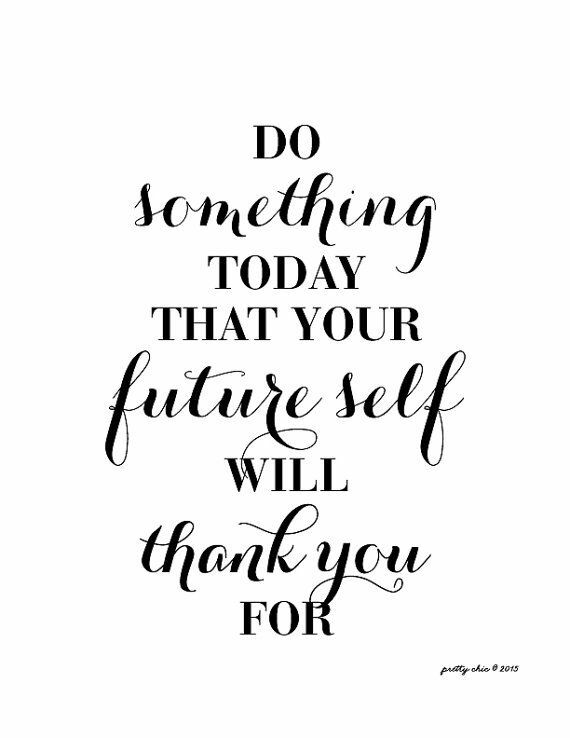 So what will you do instead Today? You can Quit Smoking! TODAY is a GREAT DAY to start! This Lady is 24 Years Old! Smoking KILLS young and old! It doesn't care! If you have been quit smoking for more than one Year please take my poll. Weight Gain? I'm posting this blog because the polls don't show up very easily and want to show folks the truth about weight gain and smoking cessation so we need as many participants as we can get. 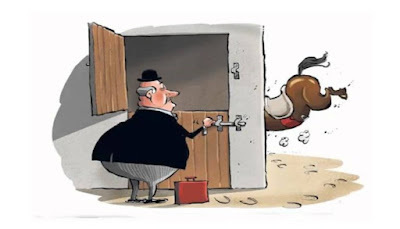 Ever heard that saying, "you're closing the barn door after the horse has bolted?" Maybe you have to be raised in farm country to know that one! It's a way of saying, "too late, might as well do _________ if I'm going to pay for it anyway!" I wonder if some of us feel that way about Smoking Cessation. "Since I have a smoking related illness, I can smoke up a cloud! Why not?" Except this is simply another NicoLie - maybe easy for us to believe but a lie nevertheless. Take COPD. With COPD it's never too late to quit smoking and reap the benefits - in some ways even more than somebody who doesn't have this illness. Everybody starts to lose some of their lung capacity as they age. A non-smoker loses about 30 cubic centimeters of FEV per year starting between ages 30 and 40. COPD smokers lose about 100 cubic centimeters per year. But if a COPD smoker stops smoking, that loss drops down to almost the same rate as a non-smoker. So it's like having the lungs of a 80 year old person at age 50 and getting worse by the second if you smoke but normal aging if you quit. COPD smokers who quit have fewer exacerbations, fewer hospitalizations for less duration, and less risk of dying from COPD. At the same time, quitting smoking decreases risk for heart disease, lung cancer and stroke. When asked why they continue to smoke, patients with COPD report that they don't have time to quit smoking. Also, demands from other people to quit smoking seem patronizing. They want to receive support from family and health team members but they want to make the decision to quit on their own. For successful smoking cessation, it is important to understand the difficulties smokers are experiencing that influence their efforts to quit smoking. To achieve a successful lasting smoking cessation it might be more effective to first ensure that the smoker has the right internal motivation to make the decision to quit, then assist with smoking cessation. So maybe nobody told us that our lungs are aging 3X as fast as normal and we can decide to stop that at any time or maybe nobody told us that we will have more time for ourselves after we have quit smoking for just a few weeks or maybe neither one of these truth filled factors makes a difference to us. But I would tell you that you have a lot to gain from Smoking Cessation and the tough part honestly doesn't last all that long! As Marilyn reminds us daily, It's doable! There are more video's of Steve's day to day life that you can watch. It's not just Quantity - It's Quality! It's about you and your LIFE! When you Quit Smoking it's important to understand that it's not just subtracting an activity. It's up to each of us to add new activities that enhance our life experience. I decided to pay more attention to my Family. I decided to learn how to cook. I decided to learn Pilates, Yoga, Meditation. I decided to educate myself on COPD and Smoking Cessation and to share that knowledge. We spent so much time and energy - even thought processes - on our Addiction. All that gets freed up when we take away the Sickerettes. But we can't live in the void. The void is what makes us feel lost, confused, uncomfortable, restless. We have to add things - why not make it fun and/or worthwhile? What do you want your daily Life to look like? You decide! I've been reading about that wicked NicoLie - If I'm going to die of smoking related illness I might as well do what I enjoy! As some may have heard I'm getting a lung cancer test on Thursday. I've thought a lot about it since I was in the hospital in December last Year. I've decided that what I really enjoy is the sense of pride and accomplishment of living Today - this day - even if it's my last - FREE of Addiction! Vanquishing Your NicoDemon through Acceptance! Some of us are fighting not just our Addictive Demon but our Personal Demons as well. How do we vanquish our fears and fight our Personal and Addictive Demons Successfully? Should we fight them at all? It certainly takes Spiritual Fortitude to face your Fears and battle your Demons but is warring the best way to Victory? Addiction without exception is one of the most dominant and formidable of Demons. But other such thought forms that can appear overwhelming and bigger than ourselves include fear, doubt, worry, shame, guilt and rage. The cumulative effect is unmistakable! I've learned I can almost gauge my ability to mature and grow as a Spiritual Being on any level, by how often I am facing Personal Demons. One of the most overlooked ways to work through our fears is through those who challenge us. Those who push our buttons the most may also prove to be our best Spiritual Instructors! When we face these other seemingly unrelated Demons we fortify ourselves for the NicoDemon and visa versa- it's simultaneous! An alternative way of fighting our Demons without fighting is by accepting what is and releasing resistance to the present moment. Accepting my reality, when that reality was painful and undesirable seemed the last thing I'd ever do, for a very long time. But acceptance isn't relinquishing Self-Control to the Demon! It actually entails embracing the present moment with Self-Responsibility. Seeking to avoid feeling weak and vulnerable, I fought against this idea of surrender and acceptance of what is. I fought it for a long, long, tedious time. In other words, I fought against not fighting my Personal and Addictive Demons. The need to resist them was stronger than my ability to see another way; the fear of not resisting them was stronger than the Faith of having support to walk through them. I kept fighting until I had nothing left with which to battle anything any more! I collapsed in upon myself, because I had no energy to do anything else! I'm a very stubborn person! My Willpower went numb! This time, I did something different - Willingness. Instead of raising back up to do battle, I simply recognized that I owned this situation. My Addiction 100% belongs to me! I had to be willing to accept and vanquish the Demons one minute at a time! I finally understood that the only way to stop Addictive Behavior from recurring was to fully get it. Know my part in it. Be with the effects of it until I realized what it was in me that drew me back into it and putting a stop to giving that force permission to lead me there. I realized that fighting Demons outside myself would never work. The reality was that my Personal and Addictive Demons originated with me and could only really be vanquished on the inner ground of my Awareness and Acceptance! "When we saw all those cities and villages built in the water, and other great towns on dry land, and that straight and level causeway leading to Mexico, we were astounded. These great towns and cues and buildings rising from the water, all made of stone, seemed like an enchanted vision from the tale of Amadis. Indeed, some of our soldiers asked whether it was not all a dream. It is not surprising therefore that I should write in this vein. It was all so wonderful that I do not know how to describe this first glimpse of things never heard of, seen or dreamed of before. . "
Yet, not without many struggles, including the famous sorrowful night, Noche Triste, when 450 of those soldiers fell in one massive battle, Cortes became the victor! Well, it all goes back to Veracruz, the beach where the boats first landed! Cortes did something that we as Nicotine Addicts must learn to do - he burned all his boats! He gave his soldiers no choice to fail! They had to carry on - Victory was their only option! And that's what we have to do! We must burn all of our boats and embrace N.O.P.E. so that we can become victorious over Nicotine! Why is it so all or nothing? The Law of Addiction! I know that each of us is an individual with our own personal quit history but it doesn't change the Law of Addiction! The Law of Addiction doesn't even know or care who you are! It's an equal opportunity law, like the Law of Gravity! The Law of Addiction says "Administration of a drug to an addict will cause re-establishment of chemical dependence upon the addictive substance." It applies whether you've been hooked for 2 weeks or 50 years and everything in between! It applies to the social smoker just as it does the closet smoker and the chain smoker. It applies to the 15 year old and the 75 year old. It applies to the healthy and the ill, to men and women, straight and gay, religious and atheist, all of us equally! Bottom line - the only way to quit smoking is to Not take One Puff Ever!!!! N.O.P.E.! N.O.P.E. is not just a mantra - although it is, it's not just a slogan, although it is. N.O.P.E. is a way of LIFE! LIFE is what we're all about - your LIFE! No less - just as those soldiers were faced with no other options - whether we admit it or not, neither are we! LIFE free from Addiction! LIFE healthy and happy and unhooked from a deadly, albeit legal, EXtremely Addictive Drug! A LIFE of FREEDOM is the PRIZE! You can conquer your Addiction but you, like Cortes, have to burn your boats! If I had the words to describe Smoke FREE Living, it would also seem like an enchanted vision from the Tale of Amadis! The sense of self-worth, the PRIDE, the joy of living as Our Creator intends for us to live! The new tastes, smells, breaths! The clean clothes, hair, teeth, and mouth, skin! The ability to decide how I'll spend my thoughts, time, money, energy, love! I'm no longer a slave to a dead leaf wrapped in paper and dipped in 7000 chemicals! If you could for just one single day feel the freedom - you would decide that you can never go back to your chains of addiction - that you would do whatever it takes to gain and sustain that FREEDOM! All it takes is N.O.P.E.! 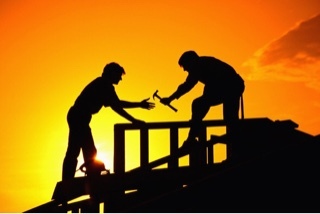 We often encourage people who we know already have the knowledge and support to just do it! Put down the Sickerettes after relapse and relaunch your Quit Journey - as if nothing has happened - nothing to see - don't look behind you! Now, for some people that might work. But for those of us with a history of disappointments and cumulative grief, perhaps we need a different path! Relapse is painful, disappointing, and demoralizing. But in addition to these obvious emotional bruises, relapse can impact us on an unconscious level as well, and leave wounds that are far more psychologically devastating. Recognizing and respecting the loss when we relapse and learning how to overcome them will help us Recover more rapidly and more fully, both psychologically and emotionally, and increase our chances of Success in the future. Sometimes we have to put the past truly behind us in order to move more freely into the future. Relapse makes our goal seem tougher. It impacts our unconscious perceptions so that our Success seems further and more out of reach. Relapse makes our abilities seem weaker. Once we relapse we not only see our goals as harder to reach, we perceive ourselves as less capable of reaching them. Again, these are not accurate assessments but natural distortions that occur on an unconscious level. Relapse damages our motivation. Whether we believe we will Succeed or fail has a direct impact on how much and what kind of effort we invest in reaching our goal. When we Fear we are unlikely to Succeed, we unconsciously invest less effort in pursuing our FREEDOM, and consequently, we are indeed less likely to attain it. The less confident we are and the more worried we are about failing, the less likely we are to take risks, emotional or otherwise. Ironically, finding a ‘riskier’ solution might be the best and most important avenue for us to pursue. 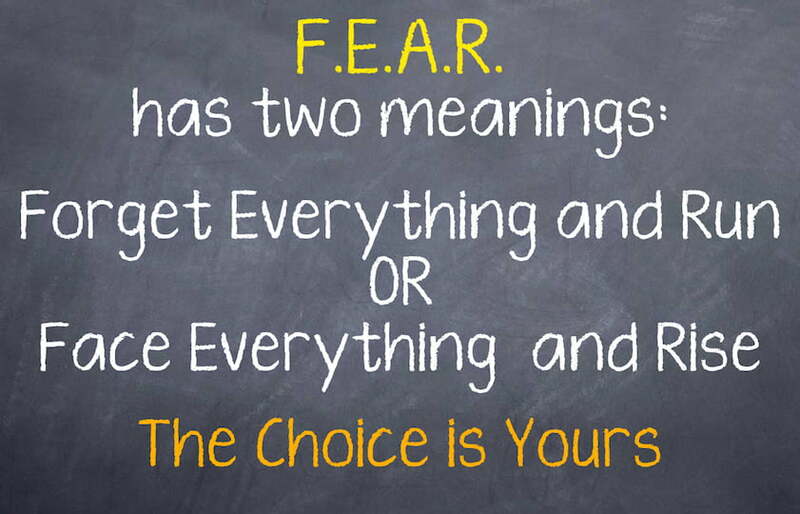 It's risky for some of us to face our Fears! You remember that slogan Smoking is not an Option [SINAO] no matter what? There are definitely times in our Quit Journey when we have to be innovative. We are facing Life on Life's Terms perhaps for the first time in our Lives since we were Teens! But once we’re hesitant to take risks, we are less likely to even consider them, because Fear limits our ability to think outside the box. Once relapse makes us more averse to risk, it impacts our ability to think more creatively and to find solutions that are ‘outside the box’ because by definition, such solutions mean less certainty and more risk. But since these dynamics are largely unconscious, we often don’t recognize how our thinking has been impacted and instead believe we’ve simply run out of new doable approaches and ideas to pursue. Relapse makes us feel helpless! When we know we've had the Best of EX, all the knowledge and support, it's easy to think that there must be something wrong with me! Well intentioned messages to "get back up on the horse" can actually exacerbate this feeling. Relapse often makes us feel helpless even though we are not! Relapse leads us to make incorrect and damaging Generalizations. When we fail we often generalize the experience in sweeping and self-punitive ways, and draw incorrect conclusions about our general intelligence, abilities, capacities, and even about our role in life or what was or wasn’t "meant to be". The only thing we can conclude for sure after a relapse is that we were unsuccessful at that particular quit, in that particular time, in those particular circumstances. We can learn from and move on from relapse despite the obstacles if we acknowledge the pain we feel! I'm writing this all out based on my experience as a Serial Quitter and what it took for me to overcome the repeat insanity! I'm not just writing to the Serial Quitter but also to the well meaning Elders who get frustrated with the repeat EXer! It may not apply to you - but maybe it does so take what you find useful and leave the rest! To be helpful is my only goal! I wrote everything about this down. All of the loss and grief written on a piece of paper and then ritualistically burned the paper with the last Sickerette in my possession. A little bonfire of release from past sense of failure and grief. A chance to start over fresh and to leave the past behind me along with permission to risk Fear and step over it! First, acknowledge and respect. Then release. Then you can move forward! There is a distinct difference between the two! When you dig deep within yourself because Life just got tough you are driven to a place inside that you never knew existed. You discovery a tenacity that used wisely causes you to grow in maturity. They say necessity is the Mother of Invention but I say necessity is the keystone of growth! Addiction simply tries to sidestep the issue - Recovery addresses it in brand new uniquely you ways! Don't get me wrong! Smobriety is an absolute requirement of Recovery! That in itself is admirable! But insufficient! You have to face everything to Recover! The good, the bad, and the ugly and go beyond the white knuckle willpower! You have to dig deeply within and find your answer to your World! You have to become 100% authentically you! And there's nothing else like it - incredible! Don't sell yourself short! You deserve Recovery! I've been through a lot of depressions in my past but this one was different. I can only guess what brought it on but the truth is it was a change in my brain chemistry - simple as that! What it felt like was being thrown into a washing machine full of mud! There were literally times when I thought I couldn't breathe! There was no escaping the muck and the harder I struggled to get out the more it tumbled around me! The only thing that really helped was to let go as contradictory to instinct as that sounds! Just accept and let go! Scary! It's one of the skills I learned from Smoking Cessation. Sometimes you just have to ride the wave - or the mud - or whatever Life brings you! The bad doesn't last even when at the time it feels like it will last forever! What springs eternal is Hope! When you feel that you just can't take it any more without a Sickerette just remember that on the other side of through is this magical, mystical, incredible World of FREEDOM! You can't see it, you can't even imagine it the way it really is but it's there - waiting just for you! Nearly 1 Billion People Still Smoke Every Day! To put that in perspective - because I don't know about you but my brain isn't BIG enough to capture Billion - it took all of human history up to 1804 for the world's population to reach 1 billion. Another way to get 1 billion is that it is 3X the entire population of the USA. One in four men and one in 20 women smoke daily. More than 10% of all deaths worldwide are associated with smoking. Do you know 9 people? 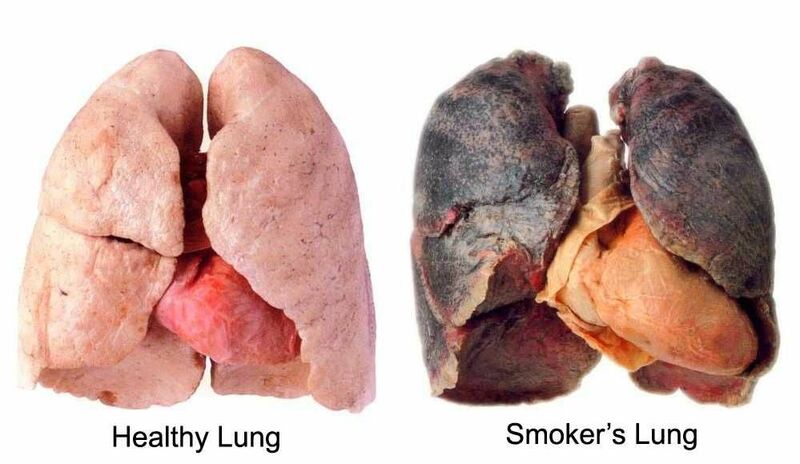 Including yourself one of them will die of smoking related illness! Perhaps you, like me will be that one! Don't you just find this pathetic? The moral disgust alone is enough for me to protect my Quit! Because smoking rates have been declining for years in many developed and developing countries, there is a sense that smoking is an issue that has been dealt with, even though it remains the second leading cause of death globally, after hypertension. Smoking related illnesses are just plain horrible. Ask anybody that has one - be it heart conditions, circulation, Barrett's, or yes, Cancer. You don't want it. You do have a choice! Do wait until you're ready - Make yourself ready before it's too late!